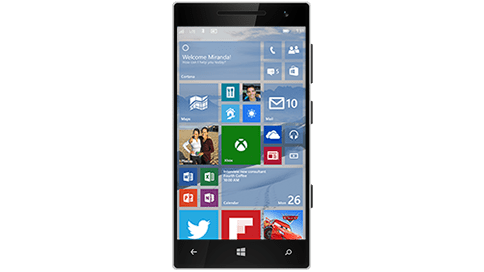 Microsoft has released Build 10080 to windows phone users who have signed up for the Fast ring of Windows 10 Technical Preview insiders for phones. Users of devices such as Lumia 930, Icon and 640XL who felt left out of the party can now join in. Also the HTC One(M8) device have the clear to install the preview. New Camera app ( Note that high-end Lumia devices (1520, 1020, 930, 830, 640, and 640XL) have some features not supported by the new Camera app. For these devices, the new app will work but to get the full functionality from your device you will need to use the Lumia Camera app. In coming weeks we’ll have updated versions of Camera apps with the super set of all features. Here are a few things to try: try out HDR (click the magic wand button), video stabilization for video and look for faces getting recognized (not identified) in the camera preview window (will help with auto focus). In as much as Microsoft will want everyone to join in on building the best experience you should know that it has complications. You shouldn’t install the preview if the device is your one and only working phone. That’s because it still includes bugs. But if you still don’t want to miss out on the experience you can subscribe to the slow ring update; you have a much richer and better experience with little or no bugs. Or get a second budget friendly device and run the preview on it. The guys over at windowscentral.com have a hands-on on the new features, check it below. Give the new build a try and let me know what you think.